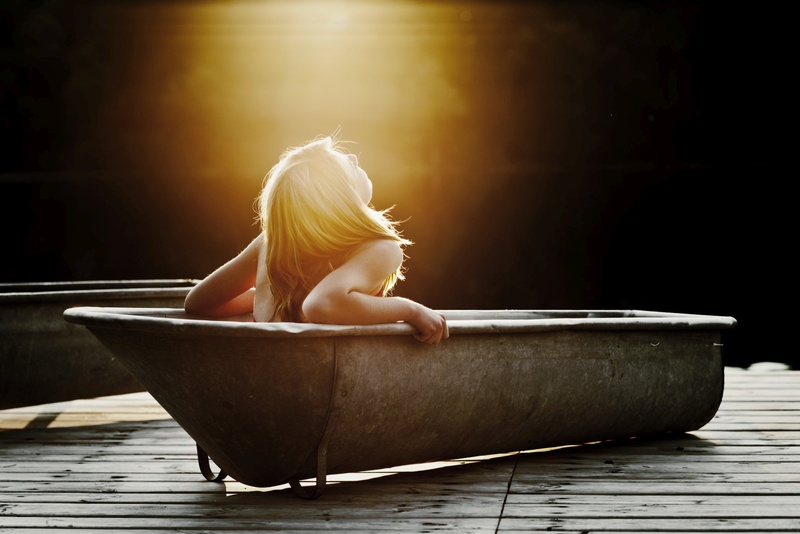 Do you want to get away from everything and everyone? 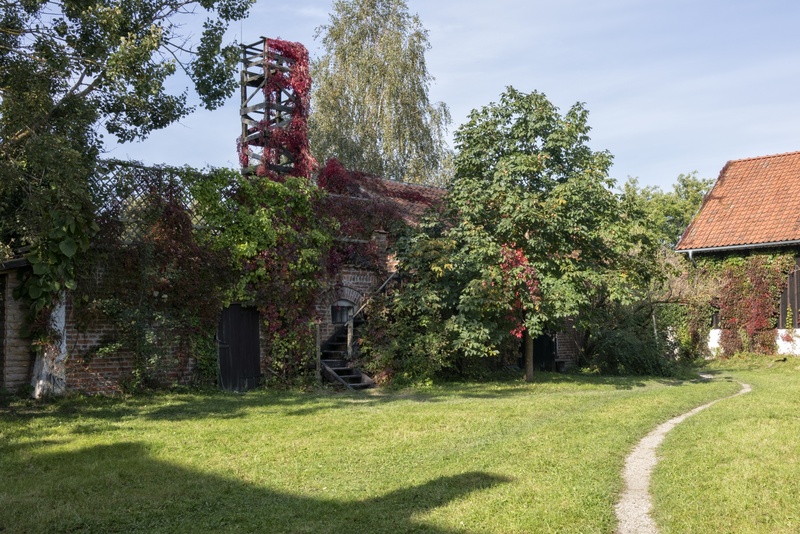 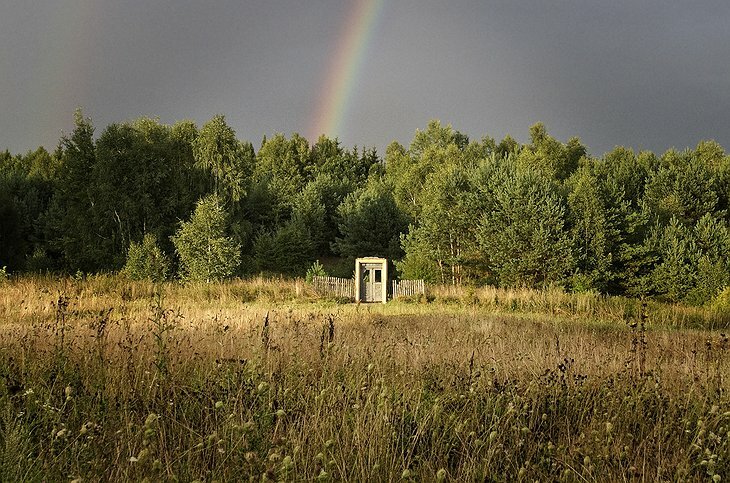 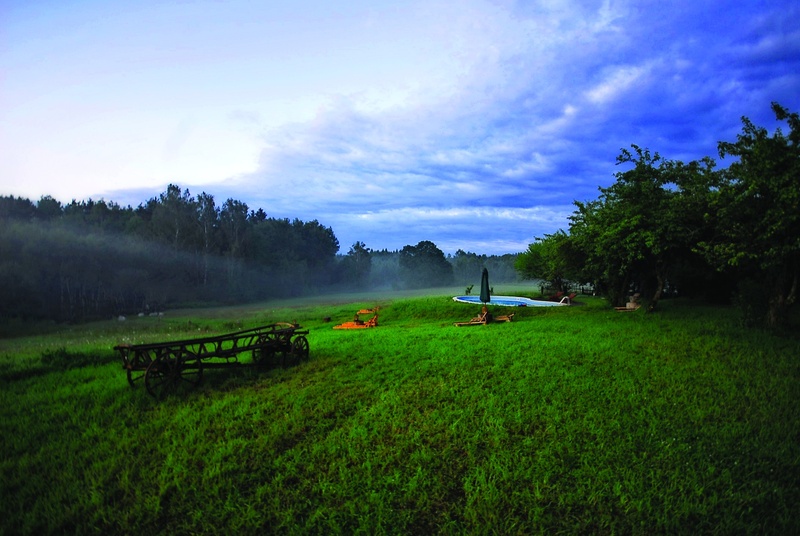 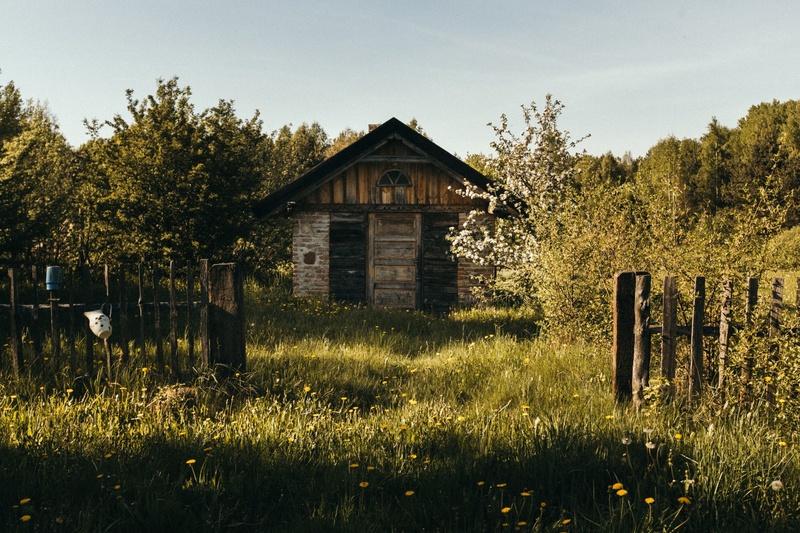 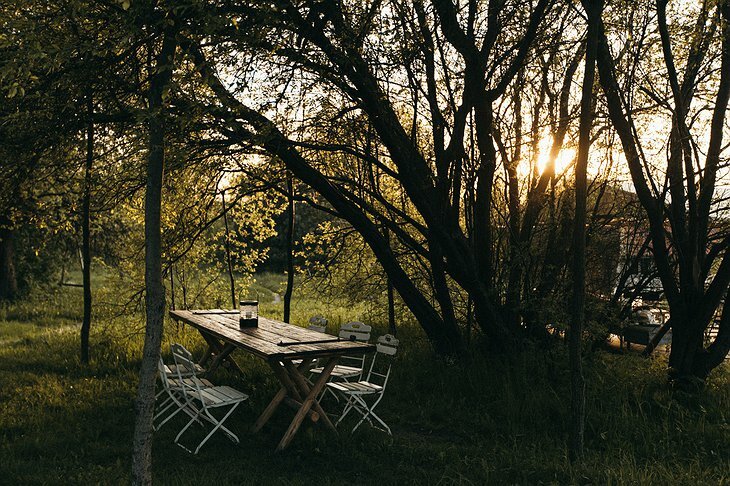 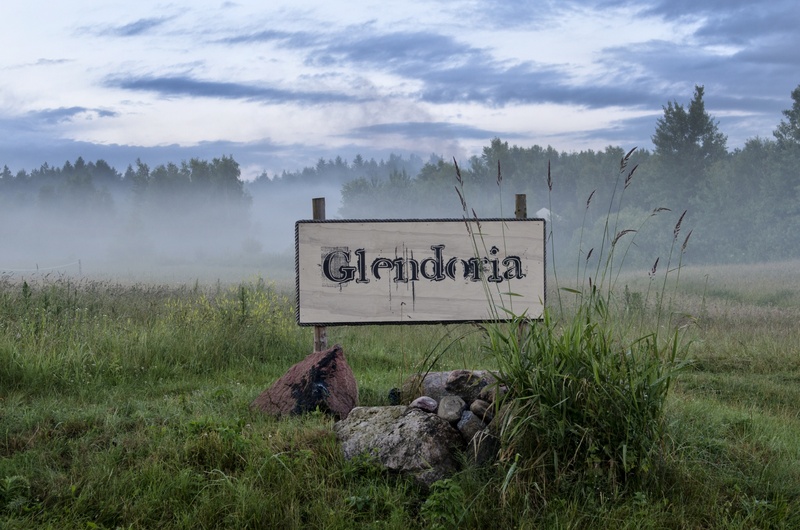 You have a pretty good chance at Glendoria Hotel, hidden away in the forests and meadows of the Masurian Lake District in Poland. 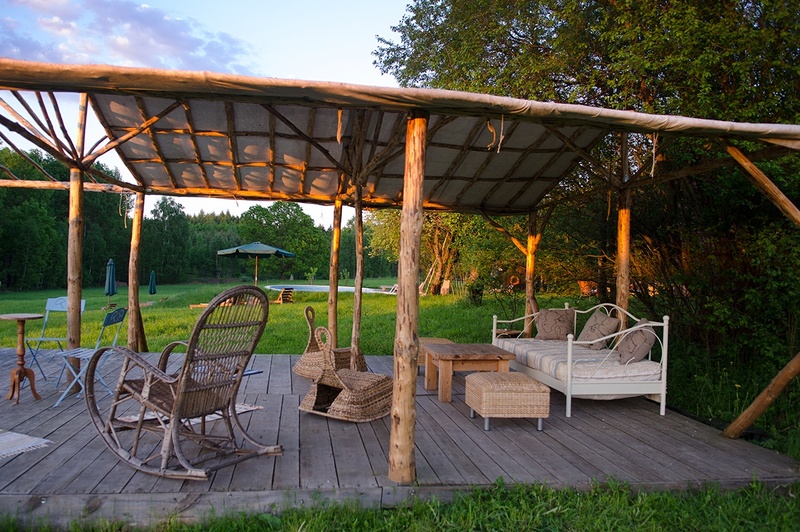 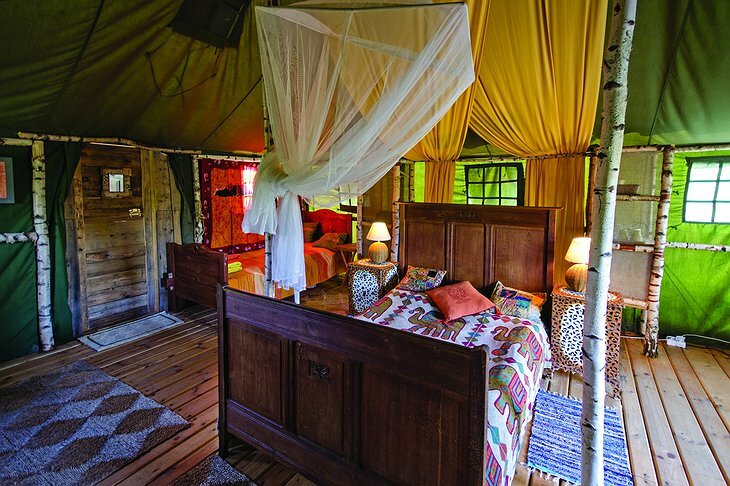 Glendoria offers a combination of conventional hotel rooms housed in a 1930s building and glamping in stylish tents. 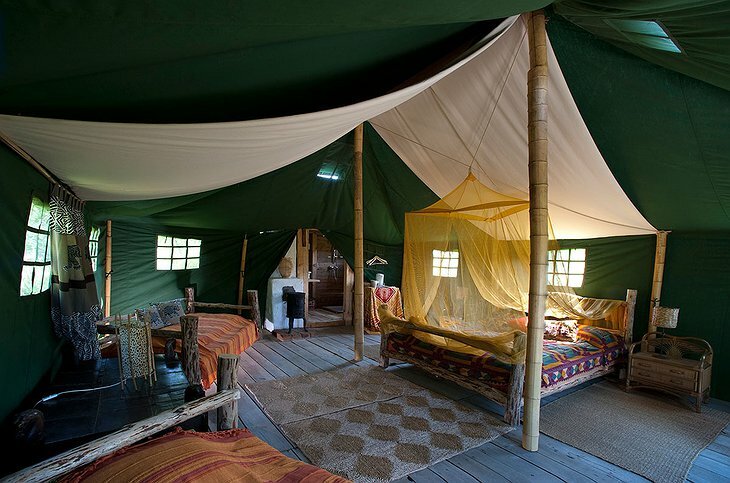 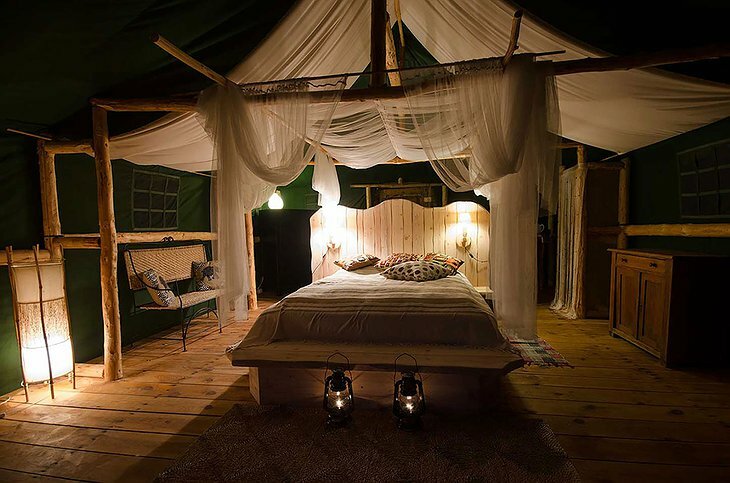 Each room and tent have unique character and style, but they’re all helplessly romantic. 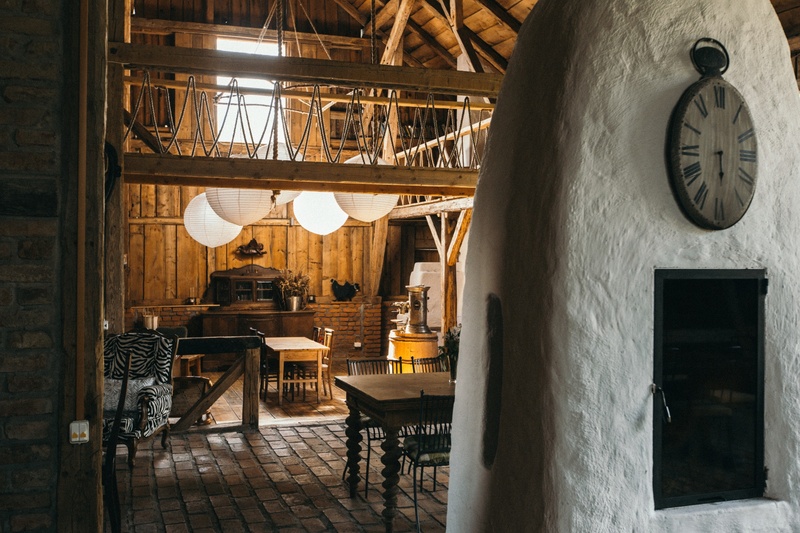 The interiors feature heavy wooden furniture, old-fashioned fireplaces, wicker chairs and a whole lot of retro knick-knacks. Some of the rooms have a private terrace so choose wisely! 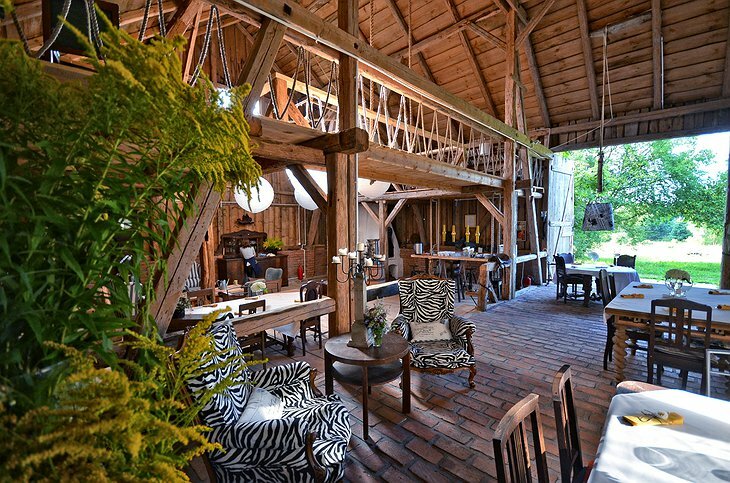 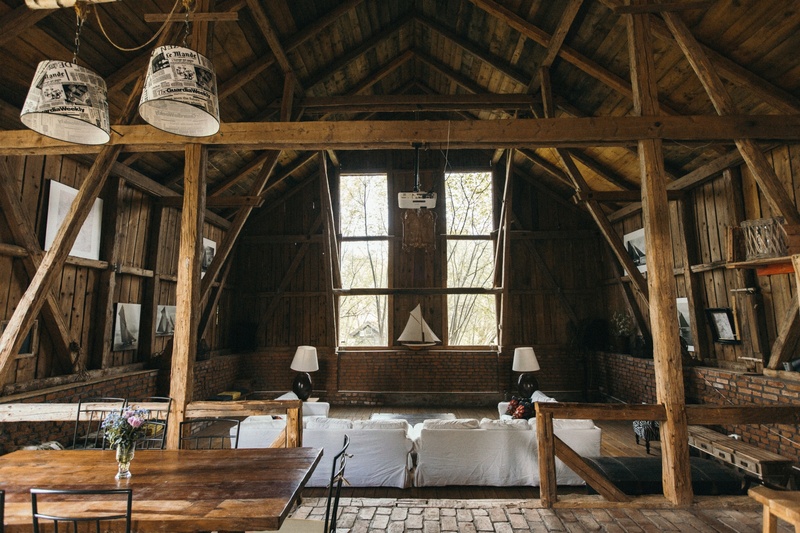 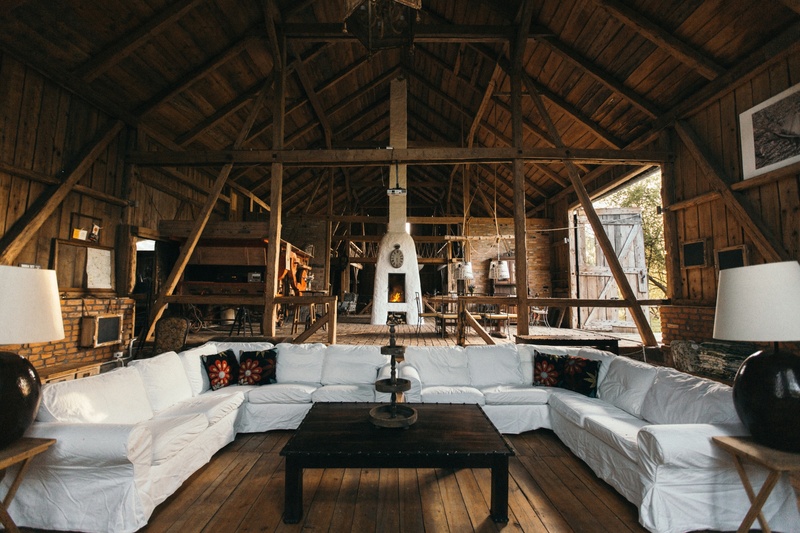 The common area of the hotel is actually a huge wooden barn from the beginning of the 20th century. 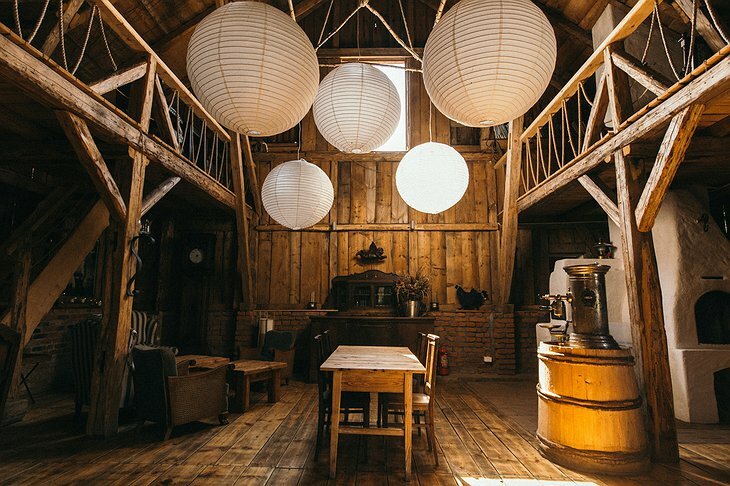 Divided into a dining area and lounge, it features its own library, a screening room and an authentic bread oven which is the heart of the building. 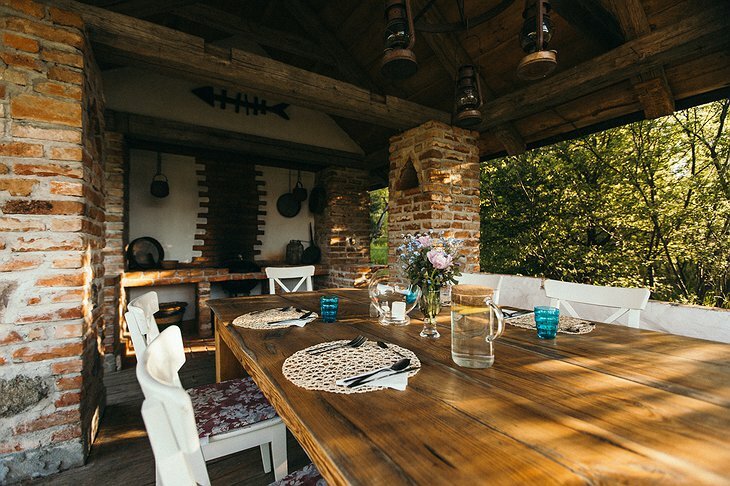 It’s here that you’ll be served breakfasts and dinners, all cooked from local Polish ingredients. The owners pay so much attention to creating the right atmosphere that they change the table decorations every day to match the menu. 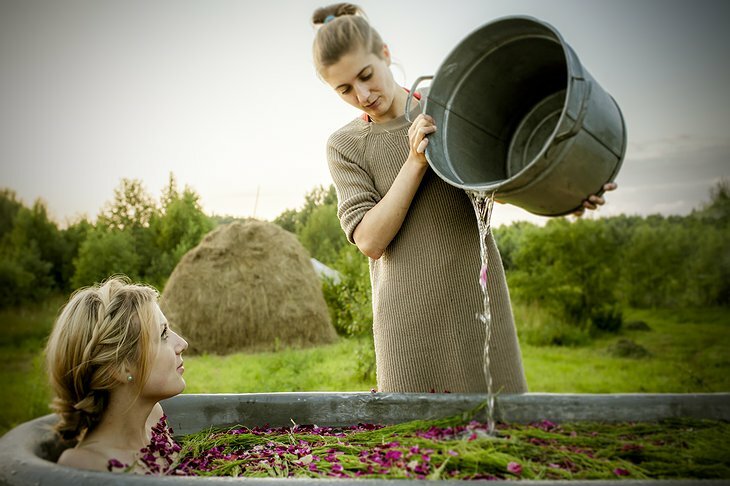 Last but not least, Glendoria has partnered with a local pop-up spa to create a unique wellness experience in the nature. 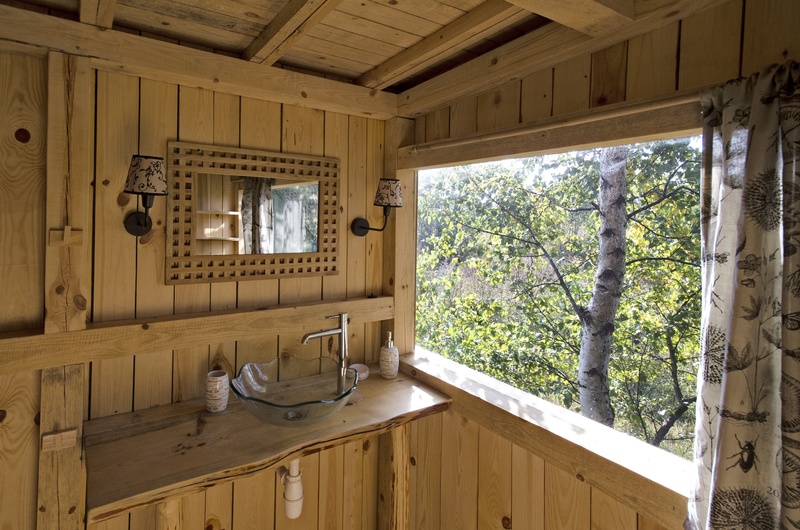 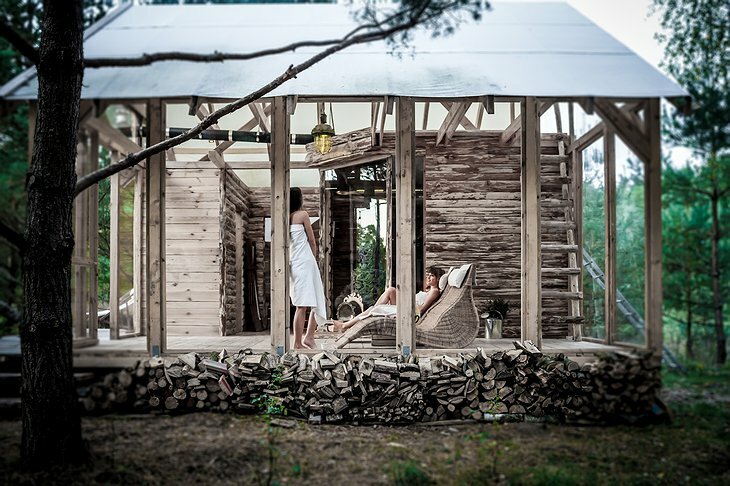 Camp Spa is housed in wooden huts with huge windows that let you marvel at the views while you receive your treatment. 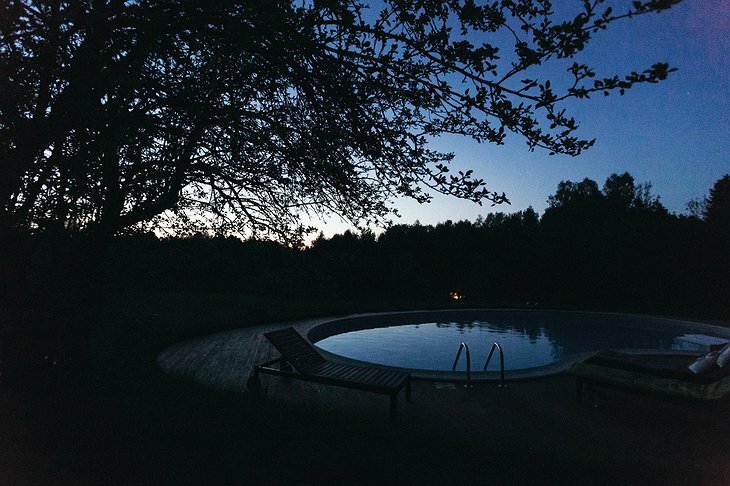 Afterwards, you can jump into the open-air hot tub surrounded by wild flowers. It’s pretty dreamy if you ask me.